brought to you in part by speed bumps. 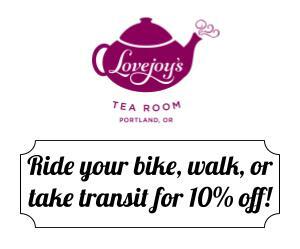 This post is part of our SW Portland Week. Part of Portland’s big idea of renaming “bike boulevards” as “neighborhood greenways” was that they’re not just bikeways; they’re spaces for street play, sports and other fun. And they’re also, the line goes, good for walking. It’s easy to laugh that last part off on the east side of Portland, where almost every greenway is lined with sidewalks. 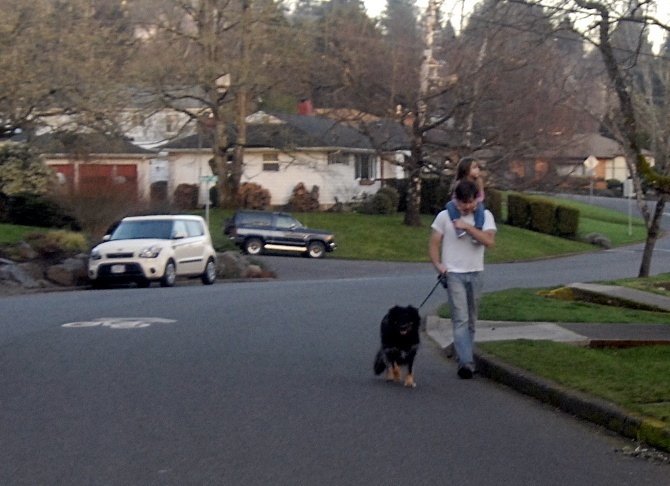 Not so in Southwest Portland, where neighborhood greenways are few but sidewalks are nearly as rare. 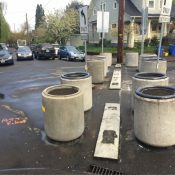 Thanks to decades of Multnomah County not requiring sidewalks to be built upon development, followed by further decades of the City of Portland routinely waiving the requirement that sidewalks be built upon redevelopment, two-thirds of SW Portland’s busy streets, and many many miles of its smaller streets, lack sidewalks. The four key ingredients of a Portland neighborhood greenway — signage, speed bumps, sharrows and stoplights — are no substitute for actual sidewalks. 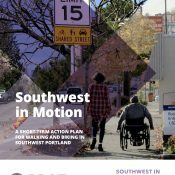 But until those sidewalks arrive, anyone making the case for neighborhood greenways in Southwest should almost certainly be describing it as a boon for walking. — Browse all our SW Portland Week coverage. We’ll be here in Southwest all week! And join us Friday afternoon for a BikePortland Get Together and social hour at the Lucky Labrador Public House in Multnomah Village (7675 SW Capitol Hwy) from 4:00 – 6:30pm. SW Illinois Greenway needs a stop sign at the intersection with SW Shattuck Road; a stop sign for Shattuck road traffic. Shattuck is a neighborhood collector street and major emergency response route. It has over 8,000 cars a day compared to the 800 trips per day on Illinoise. It would violate City policy to stop a collector street for a local service street. Lastly, NCHRP 562 analysis indicates what’s needed is a marked and signed crossing, but until there are facilties on Shattuck, crosswalks to nowhere would not help safety. Shattuck will likely have much less traffic on it after Spring Break. The new, nearby Fanno Creek bridge on SW Oleson Road will open at that time for cars and bikes. Calling something a “greenway” that allows cars on it seems delusional at best, doublethink at worst. People walking on a street with cars are still walking on a street, no matter how much paint and signs and the occasional street bump it has. Sad that it’s come to this. I think the goal is to transition the Greenways to multi-use path over time, while preserving driveway and delivery access for residents. To that end, diverters every two or three blocks is what it would take. More diversion is needed, particularly where the grid is in place. Diversion doesn’t need to be expensive either. A standard 36 foot street could be made one way by shifting one side of parking into that side’s travel lane and putting a contra-flow bike lane were the parking was. Access to driveways is maintained. 2-way bike access is maintained. And the cost would be only about $2k per block. The greenway term was coined due to the tree planting and green stormwater features incorporated into the designs. The idea of linear parks is the point. It’s not a MUP, probably never will be, but they are low cost pathways that typically criss-cross a city and provide 80%-90% of what a MUP does at a fraction of the cost. This is kind of an extremist view. Doesn’t the city/county require sidewalks now? That’s why you’ll see new houses with sidewalks in front of just the house on otherwise sidewalk-less streets. The street by street initiative also horse trades full frontage (sidewalk, curb and swales) for shared space roads that make connections where none currently exist. Well, yes, but in recent years PBOT had gotten somewhat more active in requiring sidewalks with new home construction. Not every one, but a lot of them. But then, with the “Kuntz” Supreme Court decision, following on to the earlier Nolan and Dolan decisions, there’s a higher bar for the city to require sidewalks with a new house. When it’s a replacement for an existing house, (and theoretically no increase in trips generated), the city can’t require a sidewalk be built, or right of way dedicated for an eventual sidewalk, if that’s needed. There are ways for developers to get wavers too. In some situations they will also sign a contract that prevents the future homeowner from having a vote if the neighborhood decides to make a LID (local improvement district). The homeowner will have no vote and is an automatic “yes”. As much as I think LIDs are ridiculous, that last part is a pretty crazy burden to spring on an unsuspecting homeowner (some of which don’t even know it’s tied into the property). But, if homeowners came crying that they didn’t realized they’d signed onto this when they bought their house (it’s in the deed, but who reads that), Council would not enforce the waivers. That’s when PBOT started just requiring the sidewalks now, rather than get useless waivers. (And there are thousands of them out there on file). That’s not true though they’re still giving out waivers (I’m assuming if the right palms are greased). Of course requiring sidewalks now would be very expensive for he homeowners (who would have to pay for the sidewalks). A cheaper solution for many of the neighborhood streets would be extended shoulders, basically a striped sidewalk similar to a bike lane, with no parking on that side ofthe road. Part of the problem now is that you have to weave in and out of parked cars. And SW Illinois for example is close to Hayhurst Elementary and that’s where the kids have to walk. An extended shoulder brings 80% of the safety benefits of a raised sidewalk at a fraction of the costs. And many of those neighborhood streets are wide enough to accomodate one at least on one side. The lack of sidewalks in SW is so vast and the cost would be so high, that we need more unorthodox solutions like that. Agreed. Most center strip pavement in Portland is at least 20 feet wide. A walking space on one side at 5 feet would leave 15 feet for 2-way auto traffic on roads that might see two to four cars an hour during the peak times. If we could physically separate a 18ft or less roadway from the pedestrian path, that roadway, under current state statutes, would qualify for a 15 mph posted speed (narrow residential roadways). Except that weather doesn’t usually allow that shoulder to remain intact for long (unless people are really meticulous about maintenance). And then people are back to walking in the street to avoid huge holes, mud, and puddles. Maybe this is different if there were absolutely no cars on it. But on the streets with discontinuous sidewalks in my neighborhood it can be pretty hard to stay out of the street after a good rain. That 80% figure is subject to debate. I also wonder if that’s comparing 5′ curb-tight sidewalks to striped lanes. So only 20% of the time will the car veer over the painted stripe, compared to 0% of the time they’ll jump the curb? I haven’t read the study, but perhaps someone else has. I would posit that a sidewalk separated by a curb, and a row of trees, like you find in older eastside neighborhoods, gives you a greater difference in actual safety, as well as certainly a greater perception of safety. And the perception is really important if you’re trying to increase mode share for trips on foot. While it may be actually safe, most people won’t walk if it doesn’t “feel” safe. The readers here are more motivated than average. Especially in a windy, hilly area like the SW, where there is a lot of thick foliage and blind curves. My neighbors and I like to joke “who needs sidewalks when we have the entire street to walk on?” It’s sad laughter. 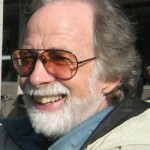 Just as Jim Anderson has found suitable bike routes via less traveled streets, residents of SW have long found suitable walking routes via its many unpaved streets. My late father, after heart surgery, was ordered by his doctors to walk 3 to 4 miles a day, so he started walking from our place on Hume Street in Multnomah to Lewis & Clark College. 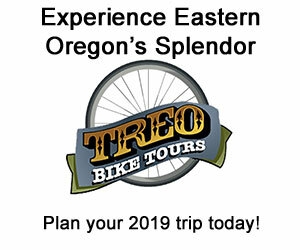 He avoided, Taylor’s Ferry, Terwilliger, etc., and found connected back streets for most of his route. Likewise my late mother walked every day into her 80’s on that invisible network to Safeway on Barbur or to 45th & Vermont. SW Trails has been marking and improving these connections for years. PBOT should reach outside the box and codify these many de facto “Woonerfs,” making modest improvements where needed. The SE Bike/Walk map shows many of these routes. Many SW residents prefer to keep their streets unimproved as they are safer for all users and have a friendly rural feel. Sidewalks need to be completed on all the major arterials however…Capitol Hwy, Vermont, Hamilton, 35th, 45th, etc. SW Trails have done fantastic work for walkability. I understand the political reality, in an era of declining resources (monetary and otherwise), that makes it difficult to even get sidewalks on the arterials, much less the local streets. And maybe you can slow traffic enough on them (or maybe they’re all dead-ends), so people aren’t getting killed. But I do wonder how it is “safer” for pedestrians (especially the vision-impaired) to walk in the middle of the street, serving as ” mobile traffic-calming devices” that slow car drivers down. It may be safer for the car drivers to slow down, but put in actual speed bumps and diverters, and then put people on sidewalks, and you’ll have actual safety. But in the sunset of our prosperity, we won’t be getting that, so, yeah, let’s concentrate on the arterials. You’ve achieved a lot with your years of activism, which we should all thank you for. Like you, I’ve been doing this for years, and I’ve come to think that we’ve passed the time in which we’ll be able to make the whole city walkable. 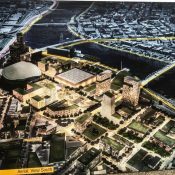 We will be more successful if we set our sights on a smaller part of the city. As I wrote earlier in a comment here, depending on the volume of traffic on the street, where sidewalks are lacking, walking in the middle of the street can be safe. For everyone, visibility there is better than for people walking to be heeling up alongside parked cars. Sidewalks confine people on foot to what often can be a poorer place to enjoy walking. They’re often a mixed blessing, devised to support use of the road with vehicles, over use on foot. Where walking in the middle of the street is the norm, there are adjustments to be made. People driving do become accustomed to driving slower in order to allow for people walking. People walking acquire habits such as using visibility aids, lights, reflective gear, and watching for approaching vehicles so as to step aside and allow them to pass. Not every street in a neighborhood likely needs, or should be obliged, to have sidewalks, particularly on both sides of the street. 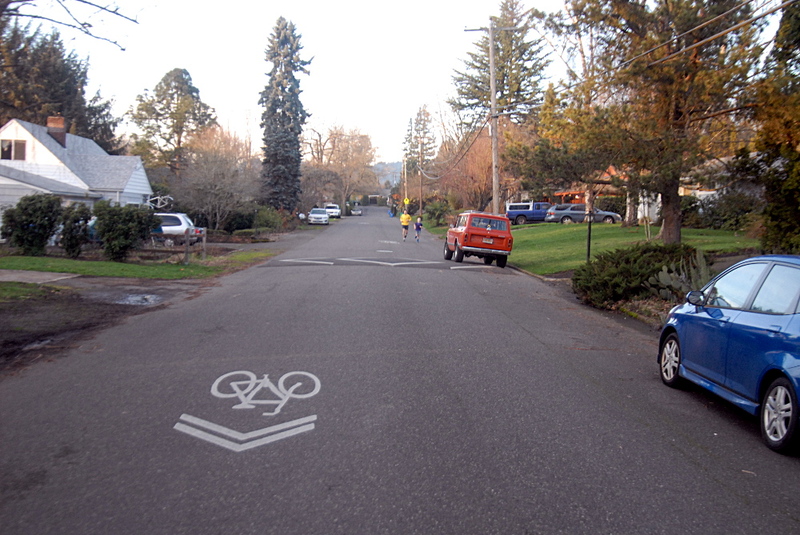 SW Multnomah Blvd needs cycle-track styled multi-use paths west of SW 40th Ave. SW 35th needs a makeover. Despite all of which, and despite a walkability store of 9 (1mi from the nearest business & transit), the streets are always full of activity. RC cars, bikes, joggers, dogs, hikers, neighbors. When we moved here I was afraid the kids wouldn’t have a safe place to play, but it has turned out exactly opposite. We leave the door open and they just run straight into the street. The chaos makes itself safe: drivers are subtly signalled to keep their fool eyes open. I think this is close to what they consider a “Woonerf” in Europe, it just happened by HOA fiat. Nice straight roads with great sight lines have often been thought of as safer, but in practice, it winds up being just the opposite. It’s a lot easier on a private street, which doesn’t have to serve a greater connectivity purpose. The downside of this pattern (where residential side streets are private) is that typically the only public streets are arterials with heavy traffic. It also really enforces land-use separation, which plays a role in car dependence. Anyone who thinks that speed bumps do anything to slow down traffic is fooling themselves. Modern vehicles seem to be built to take those bumps at increasingly faster speeds. But I guess that’s just my perception on my daily commute. Portland’s experience is different. There are two sizes of speed bumps used in Portland. The shorter speed bumps for local streets and the longer speed tables for collectors and bus routes. While no two bumps are the same, since they are hand-made, you would need to be speeding recklessly for your shocks to react quick enough. I have often thought that the rise of the SUV in the 90’s allowed governments to let the streets to degrade to a level far beyond what was considered acceptable when everyone drove cars. When the influential people switched to driving high ground clearance luxury vehicles, they didn’t notice or complain about the state of the streets the way they would have otherwise. oh…this is (tangentially) related to speed bumps in the way that these vehicles allow the higher speeds you were talking about. I don’t doubt there are people that ram their vehicles over the speed bumps, at 25, 35 mph, etc. What I’m seeing in the small, older neighborhood near where I live, is that people driving definitely slow down due to the speed bumps, and that the street is narrow, especially when vehicles are parked on both sides of the street. As slow as 15mph. As I’ve mentioned about this location in past, this until a couple years ago also was a neighborhood without sidewalks, with a couple streets that were significant connectors to roads and services on the outside of the neighborhood. Absence of sidewalks on these couple of streets worked sort of o.k. I’ll have to say though, that when the county finally put the sidewalks in on this street…on just one side of the street…walking these two streets has definitely become easier. On the rest of the streets in this neighborhood without sidewalks, everybody still basically walks right down the middle of the street, because level of vehicle traffic is so low. It’s really nice to be able to do this, rather than be stuck at the side of street all the time on a sidewalk. Pedestrians make perfect traffic-calming devices. They’re unpredictable and they move around. As do bikers! If everyone were to ride NE/SE 28th, it would calm very fast. It’s sad that drivers of motorvehicles have legal priority on Portland’s greenways/bike boulevards. And the misuse of sharrows for wayfinding by PBOT has not helped. Greenways/bike boulevards facilities would work much better with “cars are guests” signs. SW Illinois has the problem of no bike lanes on SW Shattuck Road where it meets. How did you arrive at such a conclusion regarding legal priority? 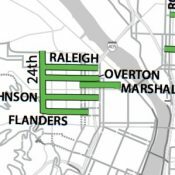 While some might argue that sharrows indicate priority, they are not mentioned in the ORS and the city has stated they are primarily used for wayfinding. A city ordinance stating that sharrows indicate priority for cyclists would be helpful.